Nicene creed. He was willing to accept that Christ was like the Father, but not the Nicene position that he was one in essence. Athanasius became bishop of Alexandria in April 328 A.D. He worked tirelessly to remove all heresy and schism. Eusebius worked within the imperial court against Athanasius, accusing him of severity against former Arians and threatening a dock strike if Constantine did not support him. A synod at Tyre excommunicated Athanasius in 335 A.D.
Constantine exiled Athanasius to Trier in Gaul. Eusebius worked against other enemies in the East until the death of Constantine in 337 A.D. It was Eusebius himself who baptized the emperor. Under Constantius, Eusebius moved from the former capital of Nicomedia to become the bishop of the new capital at Constantinople. Athanasius, unable to return to his see, appealed to Pope Julius (337 A.D. -352 A.D.). Like previous popes, Julius claimed the right to settle disputes between bishops. A synod of bishops in the East met at Antioch in 341 A.D. to deny being Arians, but also to insist that although Rome had a claim to great honor as the see of St. Peter, they did not recognize its right to judge such cases. Arianism was unknown in the West. 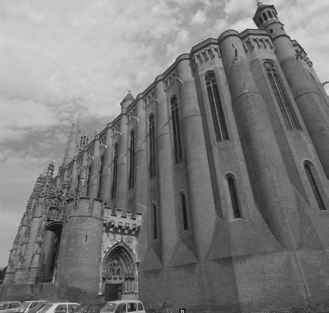 It appeared that schism between the two halves of Christianity was brewing. In 342 A.D., Eusebius died, leaving his party without a leader for a time. Athanasius returned to Alexandria in 346 A.D. to great adulation. But by 350 A.D., Constantius had defeated his rivals and was sole emperor. He was greatly influenced by Valens, an Arian bishop. Constantius ordered several synods in the West to condemn Athanasius, which they did, although some refused were exiled. Pope Liberius also refused. Athanasius was thus deposed from his see, although it took a military force to remove him in 356 . and install a new Arian bishop. 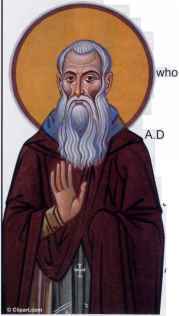 Athanasius fled into the desert to live out his life as a monk. He wrote numerous pamphlets against the Arians ind imperial authorities. The Egyptians, who were both orthodox and now anti-imperial, supported him. The new bishop of Alexandria, George, was a full \rian, believing that the Son was part of creation. Similarly, Eudoxius, the new bishop of Antioch, believed the same. In 360 A.D., general councils were held in which the Son was declared to be only like the Father, which allowed Arianism. As Jerome noted, "The world groaned to find itself Arian." This did not settle the matter. Religion was mixed with politics as unrest spread. Communities in the East frequently had more than one bishop, each professing either Nicene Christianity or one of many varieties of Arianism. The vacillating of emperors toward the religious dispute served only to make matters worse.